In recent times there may have been a great set back on the radical fight against anti-corruption and the total eradication of the dubious system of diverting public funds by high profiled citizens through fund misappropriations and conversion as these practices which are now on a rise has in turn entrenched and ingrained deeply like a Cankerworm into the national ethics, politics, civil society, public and private sectors hence permeating a negative impact on the economic growth and the cultural values in the Country despite claims by the present Government to have eradicated this menace . 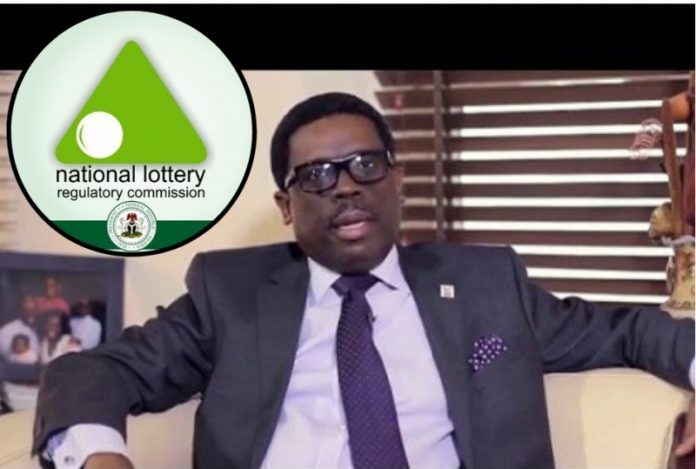 This is seen in the actions of the Director-General, Nigerian Lottery Regulatory Commission (NLRC), Lanre Gbajabiamila who like a crooked fox clothed in sheep’s clothing devised a scheme to divert public funds into his coffer through a consecutive award of contract of the same project to different agencies and Companies. These fraudulent acts SecretReporters learnt were carried out on the platform of implementing STRAMP, a monitoring platform for the NRLC geared towards transparency, establishing and ensuring accountability in the lottery business, a decision taken to curb the amount of money lost through illegal lottery business. In contrast to the moral backing behind the establishment of this project, the crooked General seized the opportunity to exhibit his craft and like the game of lottery increased his high odds of expanding his underground looting business through series of a contract awarded for the same project. These salient fraudulent moves by Mr Gbajabiamila during this online newspaper investigations include a contract worth over N2,000,000 (Two Million Naira) with file number NLRC/ADM/2255/22 which was previously awarded to Messers Semlark Technology Limited located at Oba Overanwem Street, Gwarimpa Abuja on the 21st of November 2017, with a letter signed by the MD Ademola Adeogun dated 30th November 2017 requesting for full payment having completed the purported project within a week. The Commission also went ahead to award a contract of N15,581,700.23 (Fifteen Million, five hundred and eighty-one thousand, seven hundred Naira ) on the month of December of the same year to Petro Data Management service despite the previous establishment of a monitoring platform. However, sources within the commission disclosed to SecretReporters that no new platform was introduced as the contract was just a guise to fraudulently get funds out of the system. Furthermore, an additional N2,490,915 (Two million, four hundred and ninety thousand, nine hundred and fifteen Naira) contract was also awarded to WELLDONE Global Concepts, located at Jinifa Plaza, Central Business District, Abuja on the 22nd of February 2018 in the guise of the provision of internet services via fibre-optic cable. In their usual pattern, a week later, precisely on the 28th February 2018, the MD Mr Alhassan Yakubu subsequently requested for payment for the completion of the job. This was deemed to be a recurrent activity by the DG to subscribe his account monthly as a certain commission from the contract sum allegedly goes to him when these contracts are awarded to the Agencies. He had earlier fleeced the nation of N26 million on inflated vehicle pieced for himself, which was reported by SecretReporters last week. It is pertinent to note that the sum of N2.6 billion was released to the NLRC by the Senate in the year 2017 as expenditure for the Commission and the sum of N3,264,270,412 (Three billion, two hundred and sixty-four million, two hundred and seventy thousand, four hundred and twelve naira ) in appropriation bill signed by the Secretary General of the Federation in the same year. Mr Gbajabiamila won’t respond to our numerous enquiries as he insists on seeing our reporter before talking to us. This is a running series on the monumental rot going on in the lottery commission under Gbajabiamila, a stooge brought in by Bola Tinubu and imposed on the commission.